Food is often used as an important tool in a movie to convey a particular message or create a certain atmosphere. While most viewers have a vague grasp of the purpose of this important prop, they can't put their finger on the exact mechanism of effect as the director intends. This situation has prompted a new genre ― checking out the foods appearing in movies and explaining them. 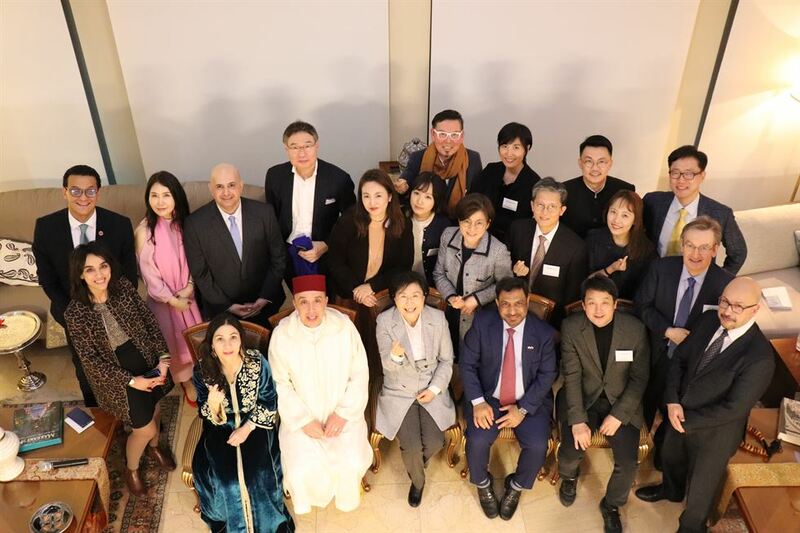 Kim Ku-chul, one of the first experts in this field, said, "The power of 'movie food' is mighty," during a lecture at the residence of the Moroccan Ambassador to Korea, Tuesday. "It can facilitate people's understanding of the characters and the storyline." Kim, also deputy editor of vernacular paper Munhwa Ilbo, talked about how he got involved in the field after being dissatisfied with just watching a movie to gain an understanding of what role food plays or how it is conveyed to the audience. "I once made cucumber gimbap to delve into why the protagonist is obsessed with it in the 2016 movie 'The World of Us,'" he said. 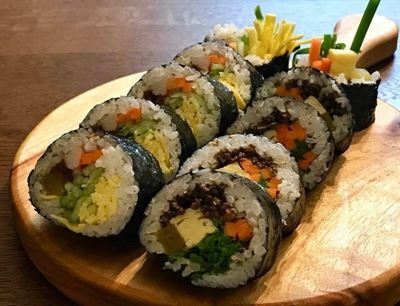 Gimbap is a Korean seaweed roll that usually comes with strips of cooked vegetables or meat. In the movie dealing with three elementary school students, perhaps comparable to the life of adults in psychological complexities, one protagonist shows her predilection for her divorced mom's cucumber gimbap. It is not even marinated but sliced fresh into pieces. They are put in the roll with water dripping from it. "The protagonist of the movie craved for cucumber gimbap to the point that she nags the mother of her friend to make gimbap in the same style. Only after making that gimbap and eating it, I concluded it is not gimbap she is eager for; she is looking for it to feel her mom's warmth." He added: "It must have been unsavory because her mother was not a talented cook. But for her, taste did not matter. Cucumber gimbap itself was so meaningful that she preferred it to beef gimbap, which is usually more sought-after." Kim said he was inspired to focus on foods after the preview event for the 2006 film "Radio Star." When the event wrapped up, he saw reporters rushing to a Chinese restaurant. "The cast ate 'Jajangmyeon,' Chinese black bean sauce noodles made in the Korean style in the movie," Kim said. "So all the reporters who watched the scene dashed to try the dish afterward. Thanks to this, I realized the significance of food in movies and how it could affect people's behaviors." 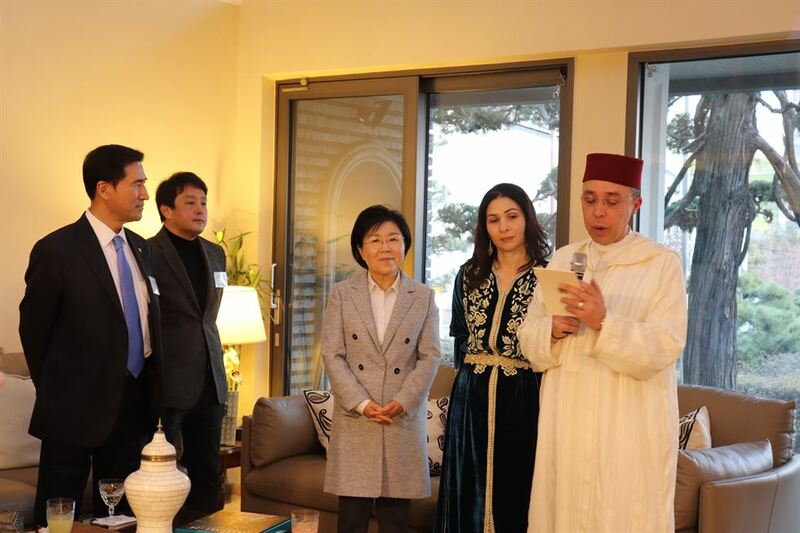 The Moroccan Ambassador to Korea, Chafik Rachadi, thanked Kim for sharing his movie expertise. The event was hosted by the Korea CQ Forum of the Corea Image Communication Institute (CICI), a global culture promotion advocacy.